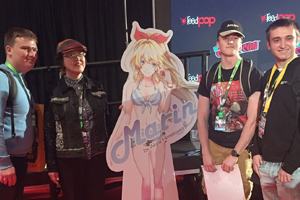 Marin comes to New York Comic Con! 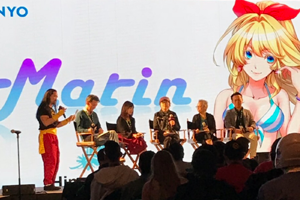 Known from the outstanding success of the Legend of Zelda Comic series, My Little Pony, and countless other properties, Akira Himekawa has debuted their new production studio, “Himekawa Art Productions” with its first official project: Marin! Sanyo’s incredible Pachinko success is, in part, due to the lead character of Umimonogatari, Marin Chan. 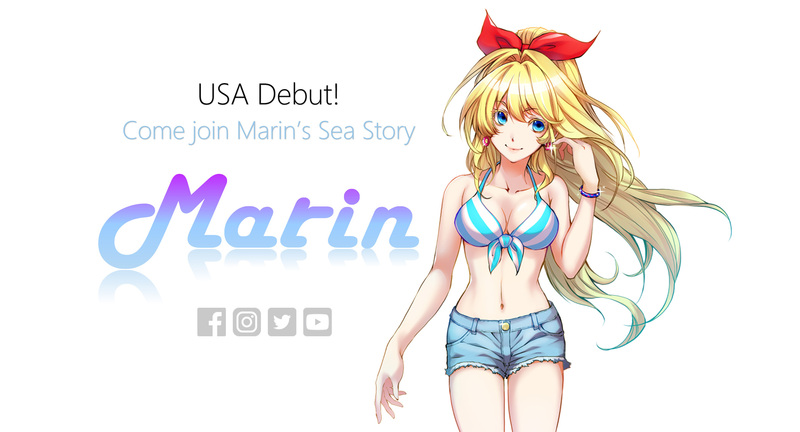 For the first time, join Himekawa live for a personal discussion into the launch of the Marin project, along with a world premiere first look at the new Marin! Marin Loves The Ocean More Than Anyone In The World! Her trademark features are her blonde hair and red ribbon. She loves the beach and beautiful oceans. 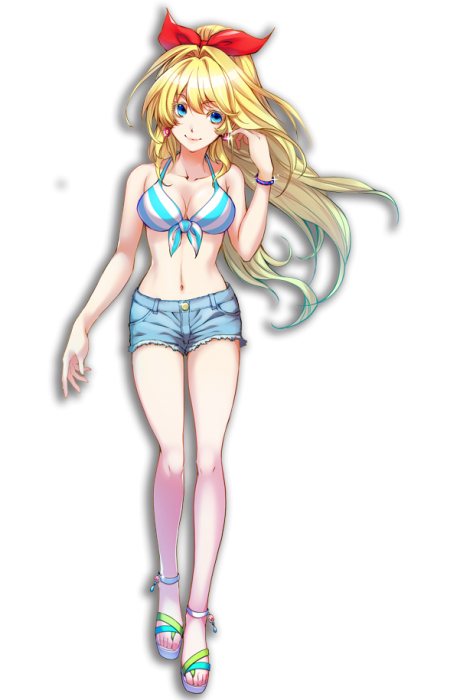 Marin looks good in swimsuits and beach fashion. She loves and treasures the ocean more than anyone else! Marin is cheerful and bright, kind to her peers, a very positive girl, and just a little silly. Characteristics She has the ability to make others “super lucky” and “happy.” Marin is able to swim without any limitations. All animals, especially sea life, love her. She hates pollution, especially any that affects the ocean. Umi Monogatari is the same as Sea Story! Created by Sanyo Bussan, Umi Monogatari is a pachinko and and slot machine series known for its easy to learn play style. Also known as the Umi Series, it’s been a popular line for 20 years. The very first entry in the series was introduced as “Gingira Paradise” in 1995. Four years later, in 1999, the series formally became known as Umi Monogatari. With its instantly recognizable characters, Umi Monogatari has remained iconic in the Pachinko industry amongst diehard fans and casual players. he second major entry released in November 2002 as “Shin Umi Monogatari.” Together with “CR Shin Umi Monogatari M27” and “CR Shin Umi Monogatari M56,” over 1,000,000 machines were shipped, a first in the industry. This feat established the popularity for the series for years to come. Following this, the first “Miss Marin-chan contest” was held in July 2003 to celebrate the series’ mascot. Next in the series was “CR OoUmi Monogatari,” which was released in March 2005 and shipped over 700,000 machines. This was followed-up by “CR Super Umi Monogatari” in 2006, having shipped 650,000 machines as well. Over the years, the Umi Series has taken players across the globe from the oceans of Okinawa to the Mediterranean Sea, the Caribbean Sea and more. The immense success has also led to spinoff machines, garnering their own deserved popularity. Marin, Umi Monogatari’s ocean themed mascot is well known in her own right. With each entry in the series she has gained a high recognition amongst the public. What makes Umi Monogatari stand out? Collaborating To Bring You Marin! 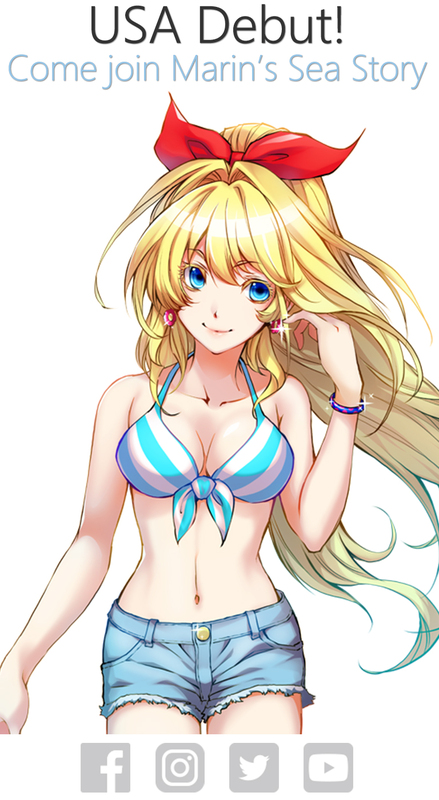 Art production studio with Akira Himekawa creates manga comics, character design, character art and visual art. Aside from notable characters like Legend of Zelda, My Little Pony and Astro Boy, Himekawa Art Production creates many original art designs and manga for overseas audience. Sanyo, best known for the Pachinko content called “UMI MONOGATARI” or “SEA STORY” series. Since the first “UMI MONOGATARI” release in 1999, it has been the most popular Pachinko machine in Japan and the main character “Marin chan” became a recognizable character, made into different merchandise including medal machine in arcades. SANYO also sells pachinko machines and machinko slots machines using IP from many other manga, anime and movies. 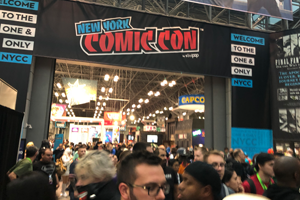 Dynamo Pictures is a CG and mo-cap studio creating high quality movies, game, anime, commercial and VR/AR contents using the own studio and techniques. Affiliated with Dynamo Amusement who provides video contents for amusement parks. I consent to Sea Story Marin collecting my details through this form.